The Naira on Friday depreciated further to N500 to a dollar at the parallel market after it had remained stable for nearly three weeks, the News Agency of Nigeria (NAN) reports. The Pound Sterling and the Euro traded at N616 and N530 respectively at the open market. 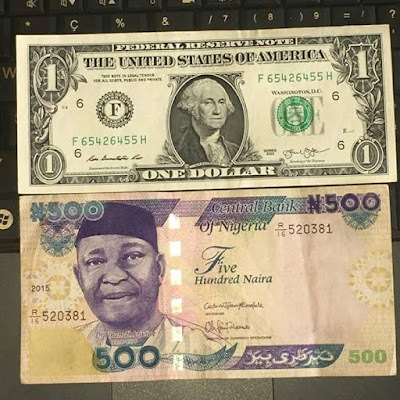 The Nigerian currency, however, remained stable at the Bureau De Change (BDC) segment of the market exchanging at N399 to a dollar, while the Pound Sterling and the Euro closed at N617 and N527, respectively. The Naira also remained stable at the interbank window exchanging at N305.25 to a dollar. Traders at the market said that the scarcity of the greenback was far from being over. NAN reports that in spite of the weekly sale of forex to BDCs by the apex bank, the Naira could not resist the temptation to fall.